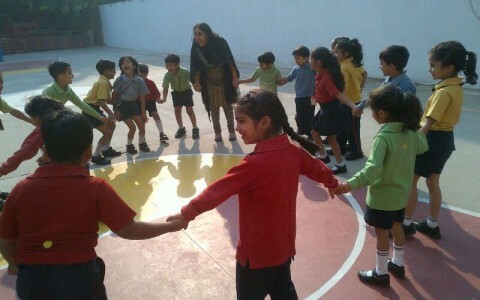 Every student in the classroom needs a platform to voice his/her thoughts & ideas about issues pertaining to classroom – whether about social interactions or about learning; circle time provides that platform. 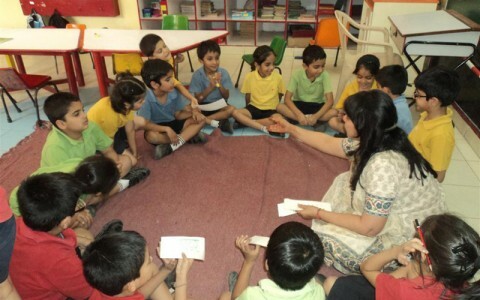 Besides helping the students bond with their teacher and with each other; it is also a great platform for resolving issues/conflicts within the classroom. 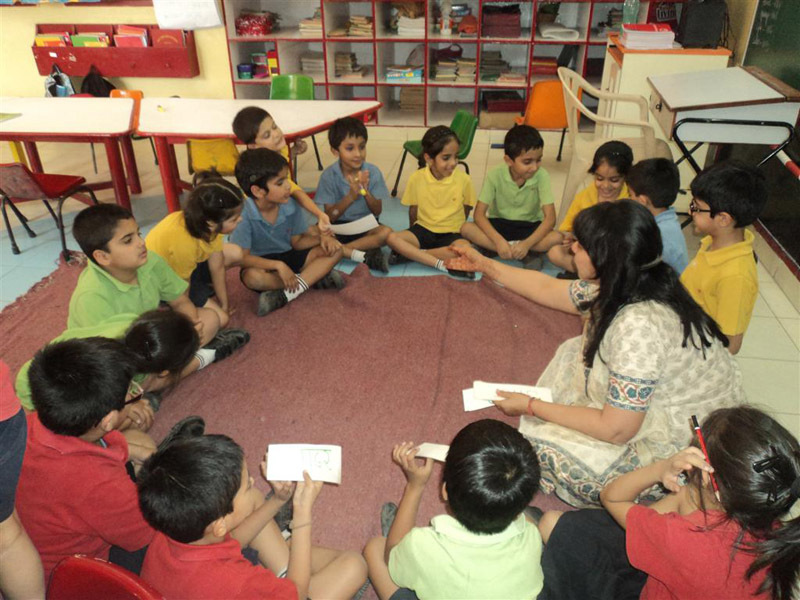 The teacher and students sit in a circle, the rules of ‘Circle Time’ are reinforced and games, singing of songs, discussions take place.. The skills promoted are looking, speaking, listening, thinking and concentrating. 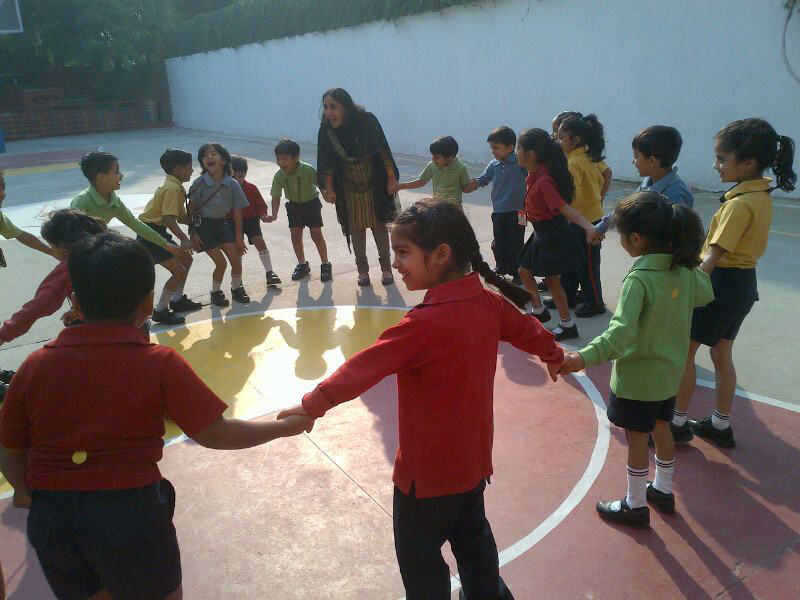 Students derive a feeling of security and satisfaction of their viewpoint being heard and valued; even the shiest student is found to be happily joining in the proceedings.